Michigan-based American funk band Ripple's 1978 single "The Beat Goes On," one of the band's last singles. Best known for their debut single "I Don't Know What it is, But it Sure is Funky" from 1973 (which you might know a bit from Kid 'N Play.) The band was signed to GRC Records and had a handful of US R&B hits in the mid-70's. I was recently introduced to "The Beat Goes On" from my friend Robb, though I do think I'd heard it before. Though truth be told... how many songs use the phrase "The Beat Goes On?" Actually, for a little Friday fun, why not leave a comment on this post of your favorite track that uses "The beat goes on." So my friend Nick has started to collect vinyl over the last couple years, and recently a look through his growing collection stopped me in my tracks. Among the 80's R&B and funk was this goofy cover of a stick of butter with a fly on it, a Barbra Streisand album, "ButterFly." I'm not really a fan, or more accurately, kind of dislike all her music... but imagine the jolt I got looking at the album to see track seven as... "Life on Mars?" As in... no, no way. Yup, Barbra Streisand covered David Bowie. It's kind of terrible but WTF... Streisand covered Bowie? Well, the record also contains Babs covering Bob Marley ("Guava Jelly" with some way dialed-down steel drum) Bill Withers, and Buck Owens. Odd odd odd. "Life on Mars" is done pretty straight-forwardly and is pretty-ish, given the strength of the song. But man, what a head scratcher. Apparently, in a 1992 interview with Larry King, Barbara (who just turned 70 this week) was quoted as saying that "ButterFly" was her least favorite of all her albums. And it's the only one I now own. Ha! I've been a fan of Nelly Furtado since her debut, "Whoa Nelly" from 2000. Her subsequent English-language albums have included a mix of styles, and she hit true pay-dirt with 2006's "Loose," which took an urban direction and gave her a slew of hits including "Promiscuous Girl," and "Say it Right." She's since released a Spanish language album, but is set to return to pop with "The Spirit Indestructible," in June. The first single from the new record is the Rodney Jerkins produced "Big Hoops (Bigger the Better,)" a deep-bass space-age hip hop track. I wasn't so sure about this one at first but it's really grown on me. She sounds a touch Rihanna on this, but has moments that are unmistakably Nelly. The hooks aren't immediate but creep up on you. I'm not sure about that breakdown... which uses a bit of drum and bass like it's 1997 again. Well, at least it's not Dubstep. According to Furtado, the new record is most like her debut, so "Hoops" might be an urban misnomer. Yet she's working with the Neptunes, Timbaland, Ryan Tedder, and Tiesto. Guess we'll just have to wait until June. Biggest hit from Detroit-based sister trio the Jones Girls, taken from their 1979 album of the same name. Brenda, Valerie, & Shirley Jones were backup singers for the likes of Teddy Pendergrass, Lou Rawls, Aretha Franklin, and Diana Ross. "You're Gonna Make Me Love Somebody Else" went to #38 on the Billboard charts, breaking the top 40, and going top 5 on the R&B charts. They had a series of lesser singles including "Nights Over Egypt," which has become a popular urban radio cult hit, getting more plays than their official biggest charter. Shirley Jones would end up going solo, and had a #1 R&B hit with the track "Do You et Enough Love," from the top-ten debut "Always in the Mood." I've only recently discovered "You're Gonna Make Me Love Somebody Else," and love it's slow-burn vibe. Dig. I certainly have always considered myself a Billy Joel fan, so when my friend Felice played me "Vienna," a soaring heartfelt piano-based ballad that was so obviously amazing from first listen I wondered... how had I not heard this already? Or more so, how is this not considered an all-out classic? Well, it's because it is on his magnum opus, 1977's "The Stranger," his fifth and breakthrough album that included not one, but four top career hits and classic rock station staples "Only the Good Die Young," "Movin' Out (Anthony's Song)," "Just the Way You Are," and "She's Always a Woman." Not to mention the title track and the epic, seven-plus minute "Scenes From an Italian Restaurant." How could a track like "Vienna" survive, despite its amazingness, surrounded by all of this mind-blowing singer-songwriting examples? 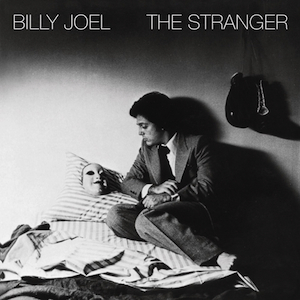 Well, anyone who owns "The Stranger," should know the beauty of "Vienna," but those who have managed to get by with Mr. Joel's ample singles and greatest hits compilations as I have, here's a little gem you might have missed. From their debut album, B.T. 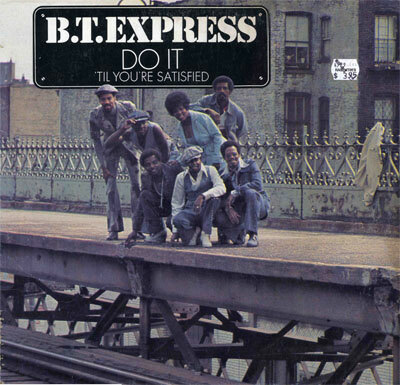 Express' debut single "Do It ('Til You're Satisfied)." Went to #1 on the R&B charts, got to #2 on the U.S. Charts. B.T. 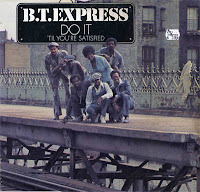 Express (or Brooklyn Trucking Express) was part of the "Brooklyn Sound" of funk and soul in the 70's. This is quite the track. Mr. Calvin Harris is certainly on a roll. He's scored a major hit, probably his biggest, by writing and producing Rihanna's mega smash "We Found Love," who is also just about to drop the Calvin-produced "Where Have You Been," another stomper. He's also produced the new Scissor Sisters track (see below) AND is continuing his own successful string of singles after the Kelis assisted "Bounce" and the surprise hit "Feel So Close," with "Let's Go" featuring Ne-Yo. I've gone from kinda digging this track to really loving it. It's Calvin's big catchy clubby sound... which I do worry will get stale after a bit (though not yet!) but it's also got this 80's island R&B vibe that I can't quite put my finger on. Is it Billy Ocean-esque? Nah... something. Dunno, but I dig it. Still no word if Mr. Harris plans to add these singles with some other tracks and actually do a third album... he seems content with these one-offs. Oh, scratch that... I guess the record is due sometime this year. Cool. Anyhow, if this don't make your booty move, your booty must be dead, and other Friday tips and tricks. As Spring promises Summer, my mind drifts to warmer weather, rooftop cocktails, sandy beaches, and... well not winter. And who better to score the longing pangs for summer than Danish 90's throwbacks Alphabeat! The band is set to release their third record sometime this summer and has kicked it all off with sunny first single "Vacation," which screams for tops down, little clothing, and just the right hint of wild abandon. I dare you not to jam. I stumbled across this album last month and I've been really enjoying it throughout. Having a bit of trouble finding info on the band... but when you call yourself "Le Le," you're sort of reveling in your un-googleness right? Oh well. 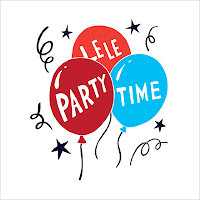 From what I've gathered, Le Le is a Dutch trio of artists, as in a graphic designer, a writer, and a musician. One throws a popular party in Paris. They made this record. 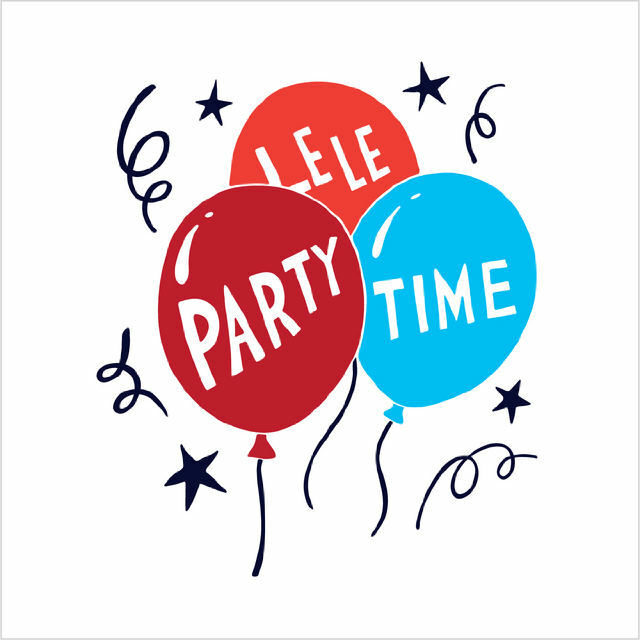 "Partytime" is an amalgam of electro styles, a little English, a little French, and a lot of fun. They even nod their heads to Milli Vanilli, on a track called "Pearl Necklace." Hipster approved. But this is good. Take a listen below. I've been pretty obsessed with this new track, "Safe and Sound" by Capital Cities, and L.A.-based duo comprised of Ryan Merchant and Sebu Simonian, who formed in 2008 after a meeting via Craigslist. They've only released two singles, a five-track self-titled EP, as well as a single for "Safe and Sound" which includes a couple remixes and a b-side. You can all of them here. They also have a Tumblr, because they're just that hip. No info yet when a debut album is coming, though from the sounds of the EP, this handsome, bearded duo is a band to watch. Oh... they also do a killer cover of "Holiday." Nice! Well here's new pop obsession. With some back-peddling I've now heard their truly fun and off kilter takes on "Super Bass" (below) "Party Rock Anthem" and a Chris Brown song I didn't know. And their official first single "Crash Your Party," which is honestly just so-so. "Hello," the bands debut is coming in early May. This might really be something.